The Esplanade court on Friday rejected Structural Auditor Neeraj Desai's bail plea in Mumbai's foot-over bridge collapse case. Desai was arrested on March 18. Mumbai: The Esplanade court on Friday rejected the bail application of Structural Auditor Neeraj Desai in connection with the foot-over bridge collapse case in Mumbai. On March 18, the structural auditor was arrested for “negligence on his part” in carrying out the structural audit of the foot-over bridge which collapsed in Mumbai and left six people dead on March 15. As per the structural audit carried out by Neeraj Kumar Desai’s firm, the bridge was declared as safe for use despite some corrosion in the structure, said police. Police also interrogated Additional Municipal Commissioner of Brihanmumbai Municipal Corporation, Sanjay Darade in the case. Initially, police initially booked the officials of the BMC and the Central Railway (CR) under section 304-A (Causing death by negligence) of the Indian Penal Code (IPC) but rescinded the move thereafter. A case was registered against Desai under section 304-part II (culpable homicide not amounting to murder) of the IPC, said police after the previous section was removed. On April 3, the BMC engineer Anil Patil was arrested in connection with the CSMT bridge collapse. The accused has been sent to police custody till April 5 by Esplanade court. Previously, BMC Assistant Engineer SF Kakulte, another accused in the case, was sent to police custody on Tuesday till April 5 by the Magistrate Court. 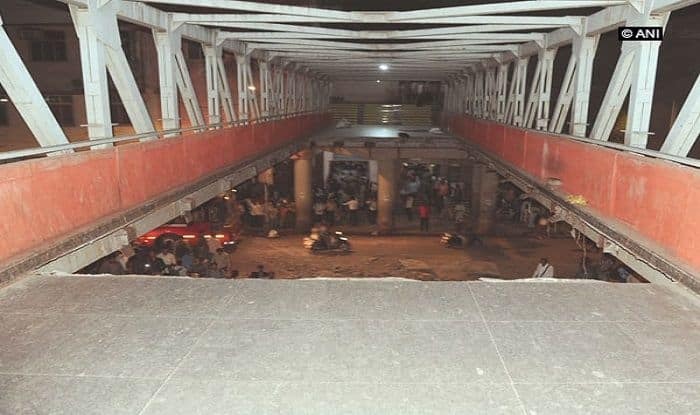 Six people were killed and over 30 injured after a portion of the overbridge near the crowded Chhatrapati Shivaji Maharaj Terminus railway station collapsed on the evening of March 14. The deadly incident at one of the busiest stations in Mumbai took place at 7:30 PM when there was a lot of rush on the overbridge. “The incident took place as the bridge was overloaded with commuters hurrying to their homes”, stated the BMC Disaster Control. An eyewitness claimed that many victims were walking on the overbridge on their way to the CST station when it collapsed.